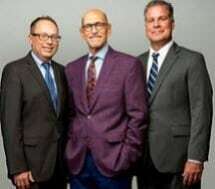 Bob Zoss Law Office, LLC, is a law firm providing exceptional family law and criminal defense representation to Evansville, Indiana, and the surrounding region. At our law firm, your interests come first. No matter what family law issue you are dealing with, we will provide a clear and honest assessment of your options and help you to pursue your legal goals. Attorney Bob Zoss has helped countless people to successfully resolve their legal issues, from protecting their financial interests during a divorce to negotiating favorable child custody and support agreements. We know that a family law issue or criminal charge can be difficult to overcome. Our law firm will support you at every step of your case and ensure that you understand what to expect from the legal process. The action that we take on your behalf is always aligned with your wishes and goals. We will represent you strongly, both in negotiations and in court, to protect your best interests and pursue the most favorable outcome for your case. Bob Zoss Law Office, LLC, offers the skilled, client-centered legal representation you need to achieve the results you deserve. Contact us today to speak to an experienced lawyer about how we can help you overcome your legal issues.